I hope it is not too late to wish you all the best for a new year. President - Heather Bonney, Vice Presidents - Robyn Roberts and Pat Stevenson, Treasurer- Denise Shearer, Secretary- Pinky English with Janis Wagenfeller as assistant and committee members - Jacqui Anderton, Barbara Pummeroy, Barbara Duffy. We will be asking you to endorse this committee at the next day meeting. I must mention the Paint Chip Challenge because it was so beautifully displayed by Robyn at both the December day meeting and the January night meeting. All who heard her congratulate Heather (judge) for explaining so well what judges look for when assessing a quilted piece. Congratulations go to Jenny Brittain, Maria Byrne and Mimma Beasley whose exquisite work earned them first, second and viewer’s choice awards respectively. In February we have Finish it Up February on Saturday 23rd and encourage you to take the opportunity to do just that. As well Clair Acres is coming from her shop at Warren Glen to show and sell her exciting fabrics at the February day meeting. QFO days will begin in February and we welcome anyone who would like to cut, sew or finish off our charity quilts. 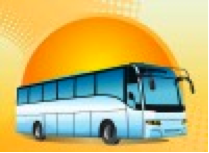 If you are thinking about going on the bus trip, I encourage you to contact Nadine as soon as you can so she can complete the booking arrangements. The time you need to be at the hall is 9 a.m., not 8 as previously advised. We are looking for a volunteer/volunteers to quilt the lovely quilt that Kerry has donated for the raffle for the Biggest Morning Tea. We are also asking for someone to share the load of organising the Quilt In with Barbara and for organising the retreat later in the year. I have organised quite a few guest speakers and shops for the rest of the year and there are some really worthwhile events coming up such as the convention In April. Finally, we said goodbye to longtime member Iris Loughnan last Friday. Essendon Quilters was well represented by five of our members attending the funeral in spite of the searing heat. I hope you can find a cool spot to continue stitching this month.